The exhibition features works by eight internationally renowned graffiti artists: Shepard Fairey (Obey), JonOne, John Matos Crash, ZEVS, L’atlas, Vhils, M. Chat, and Tanc (Tancrede Perrot). Examining the contemporary zeitgeist from a new perspective, the exhibition addresses such issues as urban humanism and street culture. Entry fee is 80rmb, 40rmb for students. Kwei Yih is the 4th edition of the "Plant Portrait" exhibition series, an on-going project that investigates different faces of plants and nature, as well as how people live among them. Featuring a collection of works from photographer Shi Zhen, the Kwei Yih exhibition looks at different phases of the photographer's life, her confusions and epiphanies. No entry fee. A landmark exhibition of a foremost figure of the American Conceptual and Minimal Art movements of the 1960s and 1970s. The exhibition focuses on LeWitt’s seminal wall drawings and includes 16 inkwash works initially conceived in the 1980s and 1990s, and a monumental, immersive wall drawing spanning four walls. The Portuguese visual artist hits Shanghai again for a much-awaited new solo show at Danysz gallery. The exhibition is fully focused on the works created during his stays in Beijing and Shanghai, aims at being representative of the lives and the people of these cities. The works seek to reflect something of the essence of these cities in the deepest way. After London, Seoul and Hong Kong, the Mademoiselle Privé exhibition is making a stopover in Shanghai and opened its doors in the West Bund Art Center from April 20th to June 2nd. Three houses materialise, each a complete immersion into the sources of the creative universe of the House. No entry fee. RSVP on Chanel's official WeChat is required. With readapted pieces from his most recent series 'So.lil.o.quy', Alec Von Bargen presents a selection of his latest multimedia creations. For 18 months, Von Bargen traveled around the world to over 23 Medecins Sans Frontieres projects in order to document the conflicts and find the inspiration for his new work. This small-scale exhibition is divided into three parts: "Source", "Comity", and "Craft". More than 100 pieces of silverware from the famous Schloss Schwarzenau in the Austro-Hungarian Empire are displayed at the exhibition. Free entry. As part of the opening program, TANK Shanghai will showcase a group exhibition of 13 Chinese artists. The exhibition’s themes are “partial, experimental, and imperfect” and will include works from Zhang Xiaogang, Xu Zhen, Zeng Fanzhi and more. Shanghai Powerlong Art Museum is bringing the official selection from the Dunhuang Academy. The Dunhuang 1650 is a condensed display of the thousand years long art history. Mural paintings, as well as exhibits from Mogao Caves gongyangren (sponsors) and Dunhuang posthumous writings, will debut for the first time with 3000sqm-sized sand and over ten thousand Dunhuang sand plants together. Offering an immersive Dunhuang art experience for the audience. 120rmb for entry. Lili’s signature cartoonish girl has been well recognized as the key characteristic of her art. In the recent decade, her artworks have been widely exhibited and collected across Asia. Five years later, Lili brings us her latest series of "Girl Power" to this solo exhibition at Noeli Gallery. This series is a true mirror of Lili’s new life alongside her second daughter’s birth. Free. A unique exhibition showcasing avant-garde artists Yves Klein, Lee Ufan and Ding Yi. Coming from different cultural backgrounds of the west and east, these three artists polarise, to this day, the relentless pursuit of art through experimentation, innovation, and exploration. Individually and collectively, they have invented new artistic languages, media, and art forms by challenging existing conventions and trends. Entry fee: 60rmb. 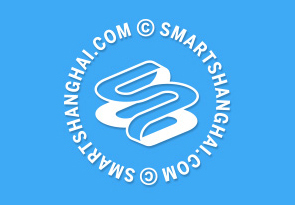 Citizen Art Shanghai Art Fair (AArt) is the first international hotel art fair in China. Founded in 2012, it uses hotel rooms as exhibition spaces, the art works are arranged in a homey environment. In 2019, they're improving the exhibition area, adding "A Galaxy of Galleries" exhibition area, an "Urban Up-and-Comings” youth art exhibition area, and an "Art Gifts" creative brand exhibition area. This year’s AArt will be held at Twelve at Hengshan Luxury Collection Hotel. VIP Preview is on May 10th, but it's open to the public from May 11-12, from 11am-8pm. This high-end art fair, named after Shanghai's area code, is now in its fifth edition and always good for a look-see. If previous incarnations are anything to go by, expect a who's who of blue-chip international galleries and top-notch curated exhibitions.